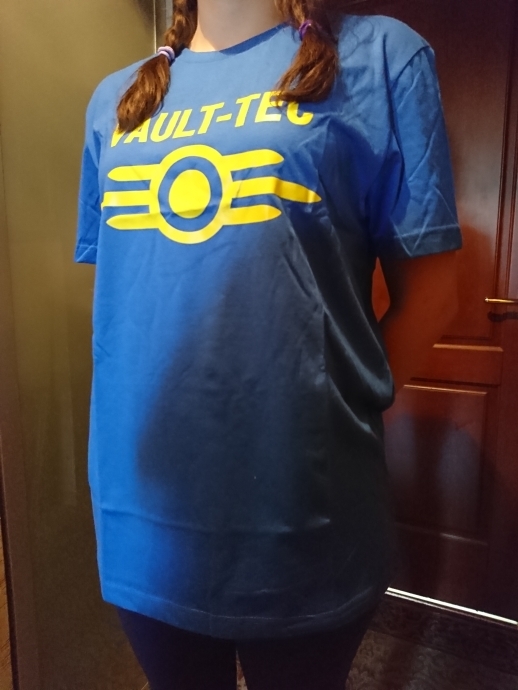 Fallout 4 Vault-Tec Logo T-Shirt. 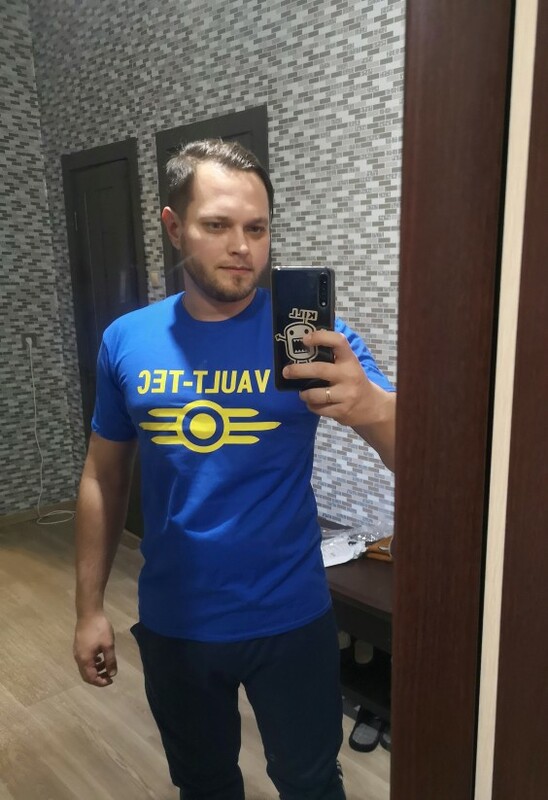 100% cotton casual style men's short sleeve t-shirt, perfect for lounging around your vault in style. 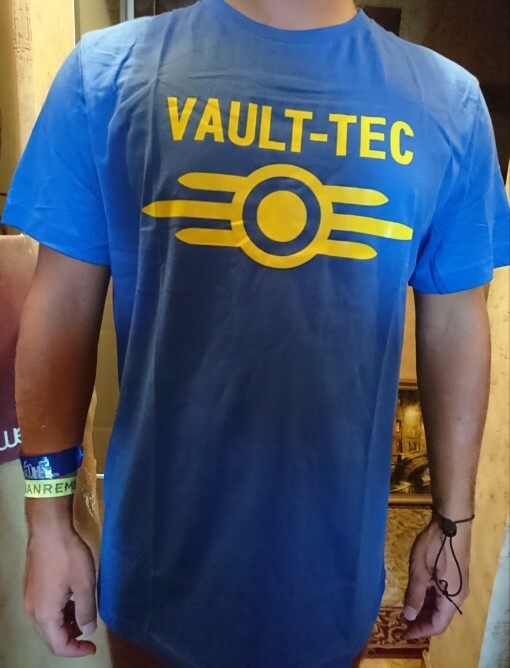 Perfect attire for your next Fallout session or wear it out proudly to show your love of the popular role-playing game. 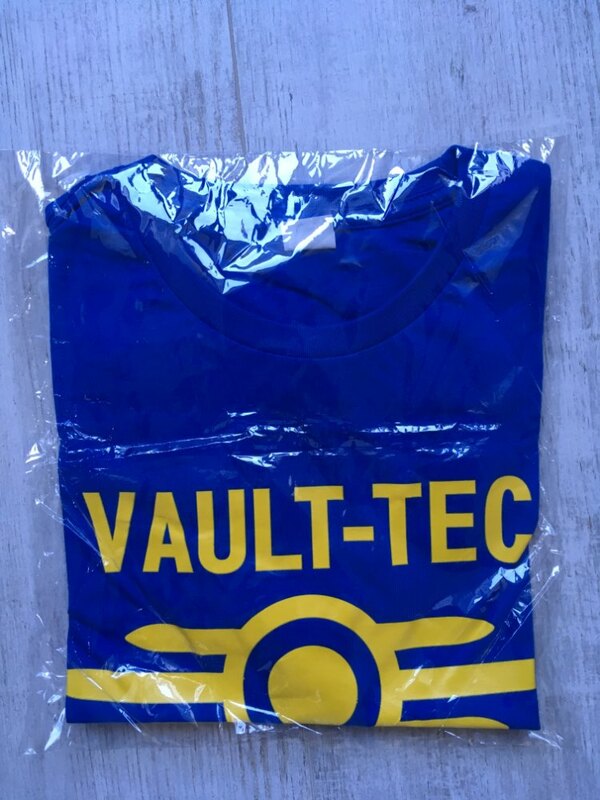 The print features the Fallout 4 Vault-Tec logo in white or yellow (on darker colors) or black (on lighter colors). The shirt is available in eleven colors and is made from 100% premium cotton. It features short sleeves and a round/crew neck. The print will not fade after washing. This item ships direct from the manufacturer and shipping is free. 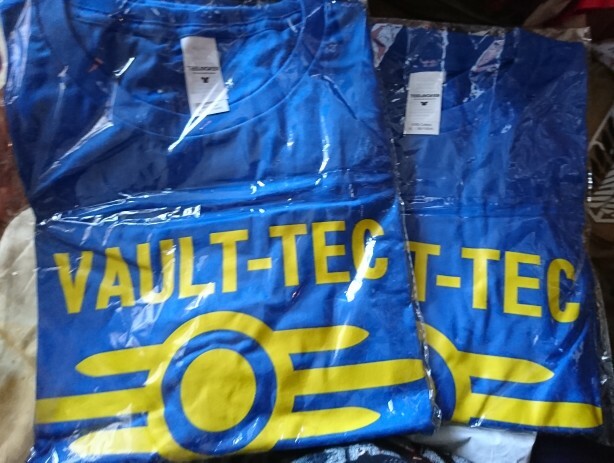 Fallout 4 Vault-Tec Logo T-Shirt ships directly from the manufacturer and shipping is free. Quality is good, is the same as the photo. Delivery three weeks. Track number. Packing in standard package. T-shirt of, not thin. After washing, not faded, not stretched, pattern not come off. Ordered a second time. Fit well. Pleasant to the touch, cotton really is. Satisfied with the purchase. Recommend. Product was shipped the next day after the order. Came in about two weeks. Well packed. Without damage. Material T-shirts-cotton. Consistent with the description. Bright color, good print. Order two size: XXL young man Height 175, XL girl height 158, both went well.